I don’t know what could be more comforting than the combination of chocolate and peanut butter. Those two delicious flavors go together so well. These cookies are the easiest, quickest way to get this delectable mix of flavors (well, outside of getting a spoonful of peanut butter and just eating the kiss right out of the package). Believe me, though, you WANT to try these cookies. They are so yummy. In a large bowl, cream peanut butter and sugar. Add the egg and vanilla, beat until blended. Roll into 1-1/4″ balls. Place two inches apart on ungreased baking sheets. Bake at 350 degrees for 10-12 minutes or until tops are slightly cracked. 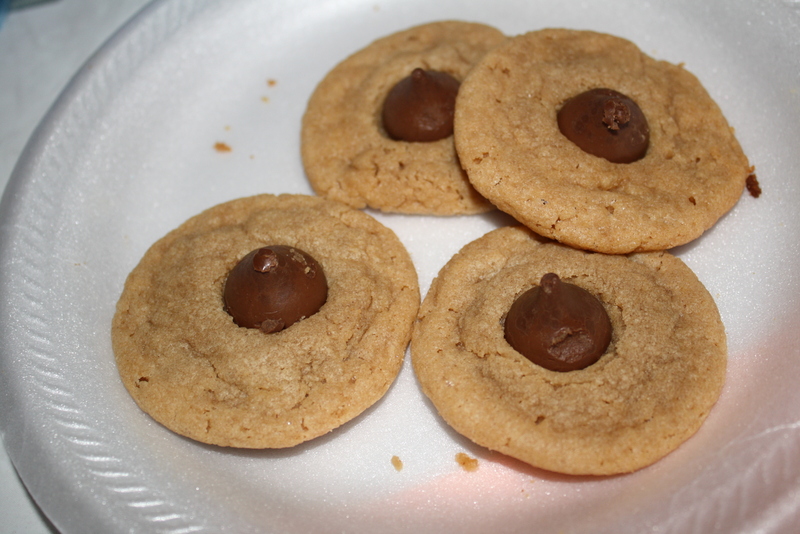 Immediately press the chocolate kisses into the center of each cookie. Cool for 5 minutes before removing from pans to wire racks. Note: this recipe does not contain flour. Reduced fat or generic brands of peanut butter are not recommended for this recipe. 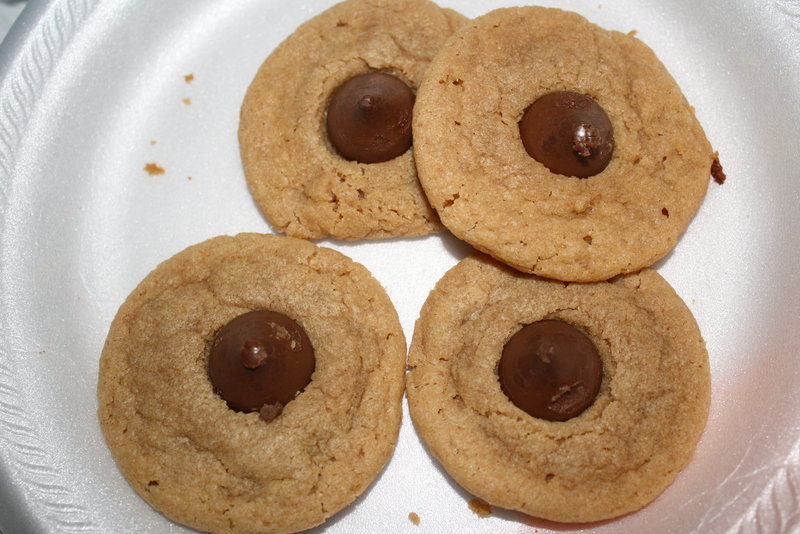 This is my fiance’s favorite cookie in the world. When these are out at a holiday gathering, no one else stands a chance of getting any. I must admit–I’m guilty of never baking them myself yet, but it may make a perfect Valentine’s Day gift for him!